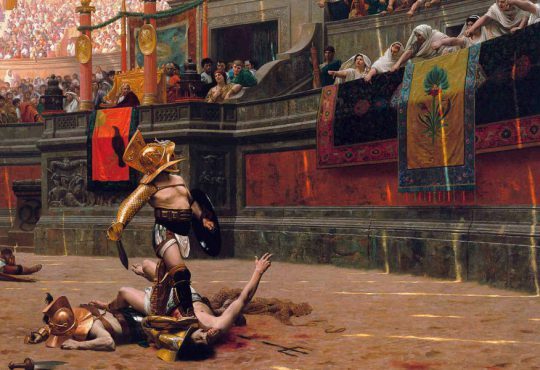 The gallows are waiting on the ravelin of the Giovia court. The Sforza guards accompany up to the block a young blonde girl, twenty years old, cerulean eyes and cheeks furrowed by silent and sugary tears, wonderful on the beautiful French face. A tear, a thud. The blade that stops on the wood. The head, raised by the hair with the bronze reflections, is brought up to the church of San Francesco in a basket. Here the beautiful face, distorted and suitor, is exposed as a warning. It is October 20, 1526. 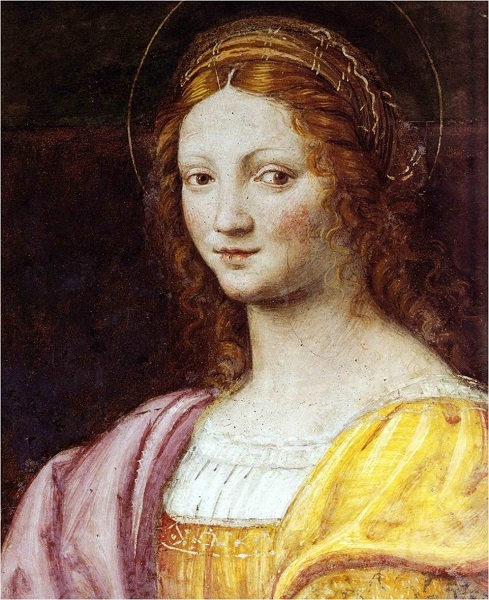 The Countess Bianca Maria Gaspardone was sentenced to death for asking her lover Pietro Cardona, “a young man of twenty-two, brunette face, proportionate and melancholic body,” to kill his previous love, Ardizzino Valperga, who he slandered her saying she was “cheeky, harlot and rude.” Pietro killed Ardizzino and collected his blood to give to Bianca. The countess’s fingers greeted him in a jug. 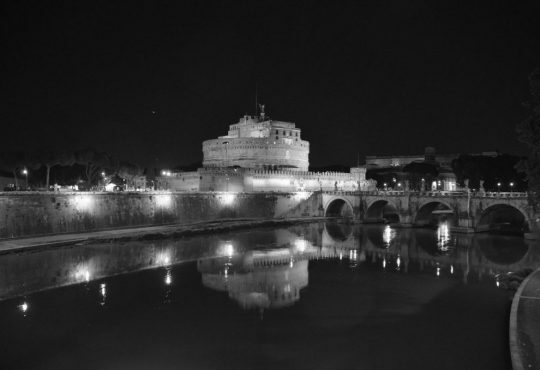 It is the Sforza Milan of ‘400-‘500, the Milan of Francesco I and Ludovico il Moro. City of crimes, intrigues, and traditions. A town in which a Christmas custom of Visconti family and North-European origin gathered around the Christmas log all the Milanese nobility, including Bianca Maria, ex-wife of Ermes Visconti. In front of the fire in the main hall of the Sforza Castle, the Duke used to wet with wine the large trunk that would last until the Epiphany. Immediately afterward he would cut 3 loaves, of which one slice would be preserved until the following Christmas as a symbol of continuity and thaumaturgical object. 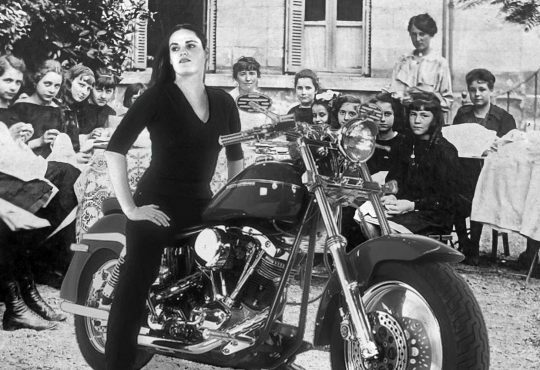 That bread was the Panetton. The birth of panettone is shrouded in legend. Or better in legends, since there are 3 of them that surround the Christmas cake par excellence. The first tells of unrequited love between the falconer Ughetto degli Atellani and the beautiful Adalgisa, daughter of a baker. To conquer her, Ughetto is hired by the baker as a boy. The baker is in crisis for so much competition, so Ughetto known as Toni decides to sell two of his falcons to buy butter, raisins (which coincidentally in Milan was called ‘ughett’), sugar, eggs, citron, and candied orange. The excellent bread that comes out solves the fate of the bakery and gives Ughetto the keys to the heart of Adalgisa. 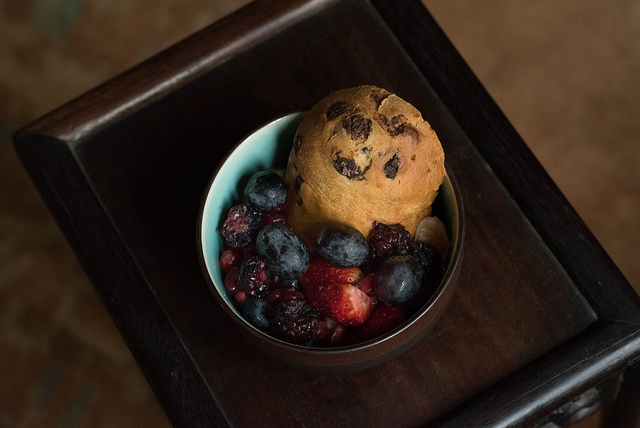 Another legend is the one that links the birth of the panettone to the nun Ughetta, who celebrates Christmas in her poor convent rolls out a flat cake, making a cross mark on it. 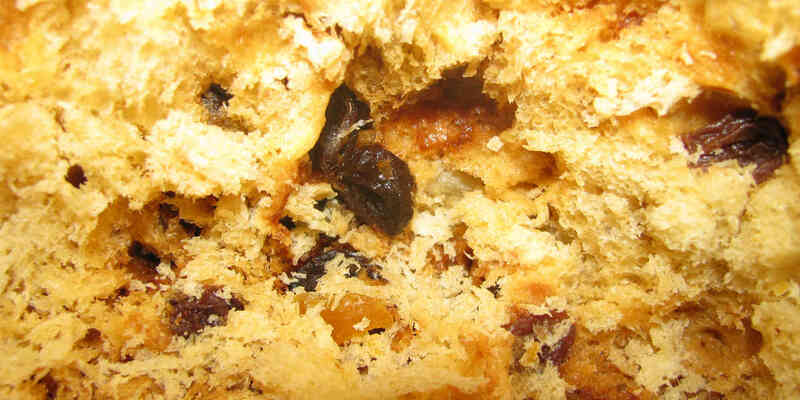 In the evening, Ughetta finds the focaccia swollen to capacity: it has been transformed into today’s panettone. The third legend is perhaps the one that is known the most. Christmas: the court of Ludovico il Moro is full of notables and aristocrats. After a gargantuan dinner, the guests were expecting a Christmas cake of equal richness and exclusivity. In the kitchen, however, something went wrong and the dessert burned. The little kitchen boy Toni, providentially for everyone, had kept for himself some butter with which he had managed to make a special bread. Humbly, depriving himself of his food, he offers it to the chef who immediately presents it to Ludovico il Moro and his court. The first slice belongs to the Duchess: after a moment of perplexity due to an unusual height, the dessert is a great success, thus becoming the “pan de Toni” (Toni’s bread). This is the great core of legends that have developed on the history of panettone or, for those who still believe in these stories, the “pan de Toni.” The history, however, is very different and it is a story of bread, ovens, and bakers. 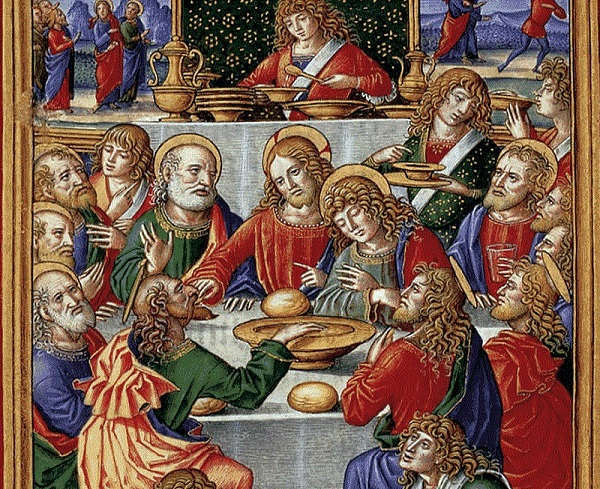 Until 1395, in fact, the Milan bakers could produce rich bread, that is all those of wheat, only at Christmas (it was excluded the Prestino dei Rosti, one of the most well-off suppliers). Therefore, for Christmas, there was the custom of consuming quality bread and the panettone was its natural evolution. Besides, in 1606 the first Milanese-Italian dictionary (called “Varon milanes”), mentions the dessert as “Panaton de Danedaa.” It was a “big bread, the one you usually do on Christmas Day, a metaphor for an inept, lazy, cheap.” Always within a more recent Milanese-Italian vocabulary (printed between 1839 and 1856 by Francesco Cherubini), the description of the “panatton or panotton de Nadal” is practically that of the modern Christmas cake: «Bread species of wheat, decorated with butter, eggs, sugar and raisins or sultanas, cooked only for Christmas”. Also in the dictionary, it is mentioned the “Panattonin,” small sandwiches that the bakers (called “ofellai” from “ofella”) used to prepare the whole year. In the countryside, however, the panettone was clearly poorer, made of cornmeal and stuffed with pieces of apple and grapes. 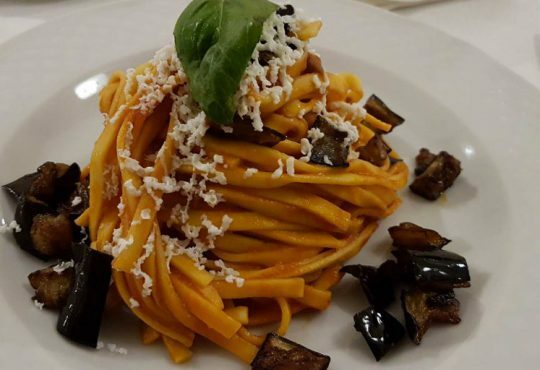 To name for the first time the yeast is the “Nuovo cuoco milanese economico”(New Milanese economic cook) a book by Giovanni Felice Luraschi. 1853. Candied fruits (in particular citron ones) appeared in 1854 on a treatise on cuisine and pastry by Giovanni Velardi, chef of the Savoy family. It should be noted, therefore, how the cake was already widespread throughout the North. The name itself recalls it: the panettone was a large bread, which until the beginning of the ‘900 was baked without the aid of molds. As a result, it was significantly lower. The reason? The reduced amount of fat in the dough, much lower than in today’s panettone. 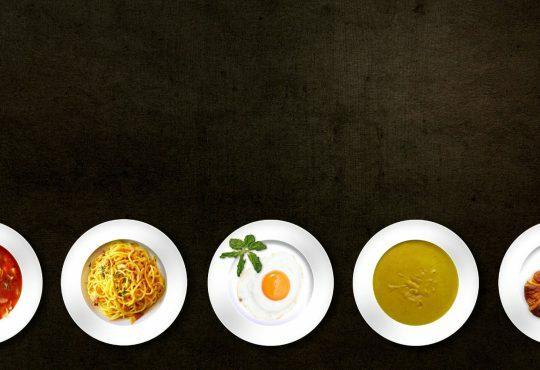 Today, in fact, from 600 to 700 grams per kg of flour are used not to mention the number of yolks used in the preparation. It was Angelo Motta who shaped the modern panettone in the 1920s. Probably, the pastry chef, baker, and entrepreneur of Gessate was influenced by the Russian kulic, who produced 200 units for the Milanese Orthodox community. The kulic is an Easter cake very similar to panettone, from which it is distinguished by the use of typically oriental spices (nutmeg, cardamom …). The real peculiarity of the kulic, however, is its size. It is very tall. Motta, therefore, increased the fats inside his panettone and bundled them with straw paper, giving it a vertical impulse. 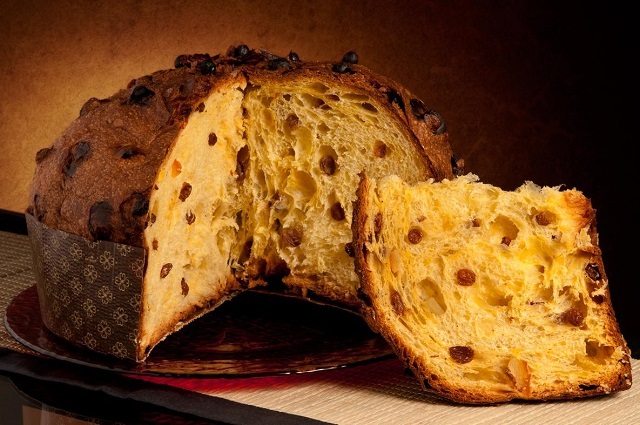 The artisan confectioners of Milan, however, have never given up the production of panettone without the pirottino (the band that surrounds the cake). 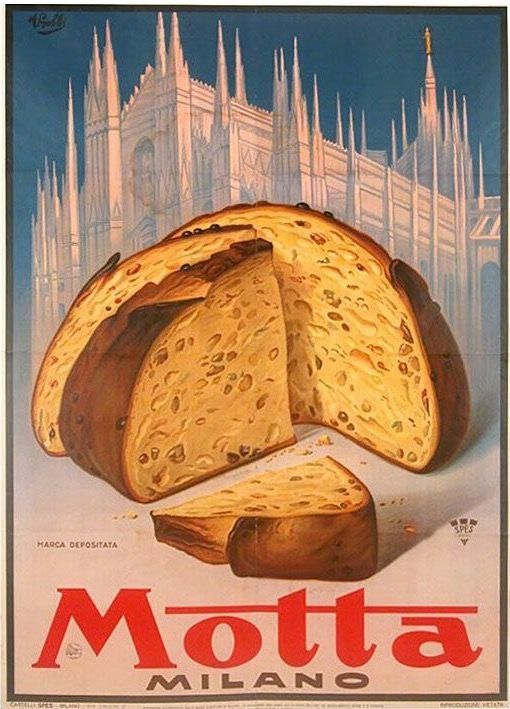 In the city of Milan, it is not uncommon to find panettone with its old low shape. 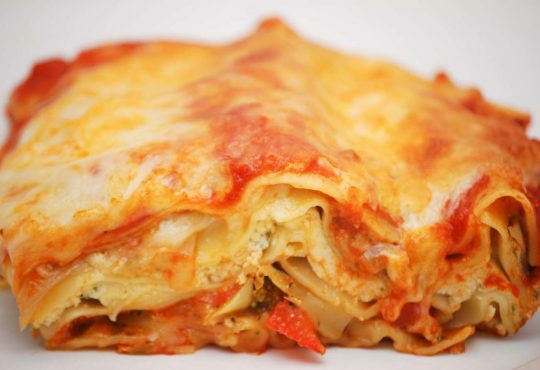 On the contrary, the traditional format is back in vogue and has recovered, sometimes mediated by the use of a lower baking paper, necessary for the high concentrations of modern fats. These, therefore, are the story and the legend of one of the most loved Christmas cakes by Italians together with pandoro and torrone (nougat). 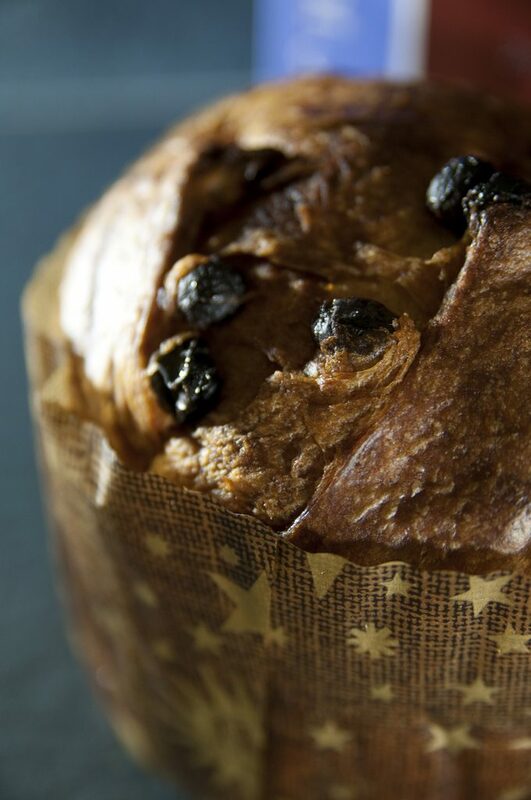 The panettone is always on the Italian tables on December 25, both in the South and in the North. Industrial or craft, like it or not, with berries, with ice cream or traditional, the customs must be respected, and a slice is never refused.